Blackjack payouts drop, but oh, those dancers! Thursday, Aug. 26, 2010 | 2 a.m. In recent months, more than two dozen tables paying 6-5 for blackjacks have surfaced in Las Vegas. Few things raise the hackles of loyal blackjack fans more quickly than casinos cutting back on what they pay gamblers for hitting 21. But an increasing number of casinos are quietly doing that, reducing blackjack payouts by 20 percent. One reason: The casino has to pay for that pretty woman dancing on the little stage in the blackjack pit. Welcome to the next generation of blackjack player, the trendy younger crowd that wants to play cards in “party pits, ” where the furniture has been rearranged to accommodate dancers. And some casinos are saying their costs are on the rise for other various reasons. In either case, casinos are reducing their blackjack payouts from 3:2 (meaning a winner gets $3 for each $2 bet) to 6:5 (winning $6 on a $5 bet). Do the math: That’s a 20 percent reduction on the payout. 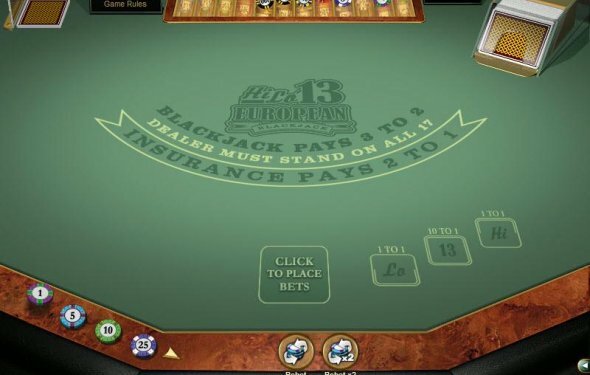 For every dollar wagered, the winning blackjack player will get $1.20 instead of $1.50. Or you can skip the math and look at the woman on stage. Old-timers may be incredulous that casino floor managers are getting more tightfisted with payouts, and take their business to better-paying casinos. But more casual players might not notice, or understand the significance, that some tables are paying out at 6:5. You can find the odds printed on the table felt. Or, hey, you can check out those dancers. Dennis Conrad, president and chief strategist of the Reno-based Raving Consulting Co., sees both sides of the issue. “When I first looked at it from a marketing standpoint, I thought it was a horrible idea, ” Conrad said of decisions to change blackjack payment rules. But Conrad said he’s not insensitive to increased labor costs, the cost of comping guests and the expense of new marketing concepts to attract younger gamblers. On the other hand, he points out, the more favorable payouts for players will keep them playing longer, which benefits casinos in the long run. Many casinos are deciding that changing the payout formula is the least painful alternative. The formula change comes as casinos are discovering how younger players want to spend their gambling money. Conventional wisdom has been that young players would gravitate to slot machines because of their skill and experience with video games. But more and more, Conrad said, the social interaction of the experience is drawing younger players to tables — especially in the party pits or those that use “dealertainers, ” dealers who also entertain as celebrity impersonators. 7 in 1 Games Portable Touch Screen Video Poker Machine - Includes Bonus Deck of Cards! Great for Adults & Children over 13! Includes retail packaging & instructions - plus bonus deck of cards! Most 6:5 tables don't have coins, and casinos always round down. He'd get 6:5 for his first $55, then even money for the rest. So the payout would be $66+$3=$69. If the table happened to have half dollars, he'd get another 50 cents.